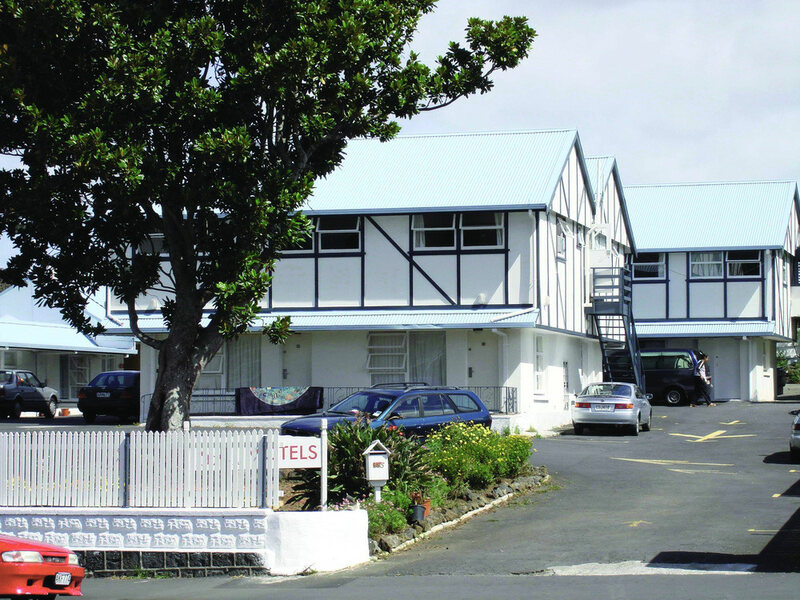 Sai Motels - Greenlane offers cozy city central budget motel accommodation with traditional hospitality and round-the clock service. Located very close to the Central Park Business District, Ellerslie Racecourse & Convention Centre, Mt Smart Stadium, ASB Showgrounds and Greenlane hospital, it is also near to supermarkets, restaurants (Wendy's, McDonald's, and pubs close by), bakeries, chemists, ATMs & banks and the Ellerslie railway station. Easy access available to bus stops (15m to Auckland CBD) and to the motorway, it is hardly 20m away from the Auckland Airport. It has fully furnished family rooms (for up to 4 persons) along with kitchen, triple, double as well as single rooms. Further, a fully equipped common kitchen is also available for long stays. All rooms are newly carpeted and come with ensuite shower and toilets and there is ample private parking space. All rooms contain hot kettle with daily replenished sachets of tea, coffee, sugar and milk, direct dial telephone, microwave, mini refrigerator and Sky TV with 6 digital channels. Besides complimentary use of broadband internet in centre adjacent to reception, Wi-Fi is also provided on demand. Toaster, hairdryer, ironing board with iron, room heaters and extra blankets and pillows are provided on request. Laundry, hot plate facility and continental breakfast is also available. Takeaway dinners can be brought to your room as at a nominal charge. Late-night check-in assistance and retail sale of beverages in-house add to the comfort. For business purposes, we now have added a function and conference room for up to 40 guests including disability access; with services such as multimedia projector, screens, conference compediums and stationary, fax, scan, copy, print, email and telecommunication services. Sai Motels - Greenlane offers cozy city central budget motel accommodation with traditional hospitality and round-the clock service. Located very close to the Central Park . . . More . . .